Banger Rally final Day. Day 4. 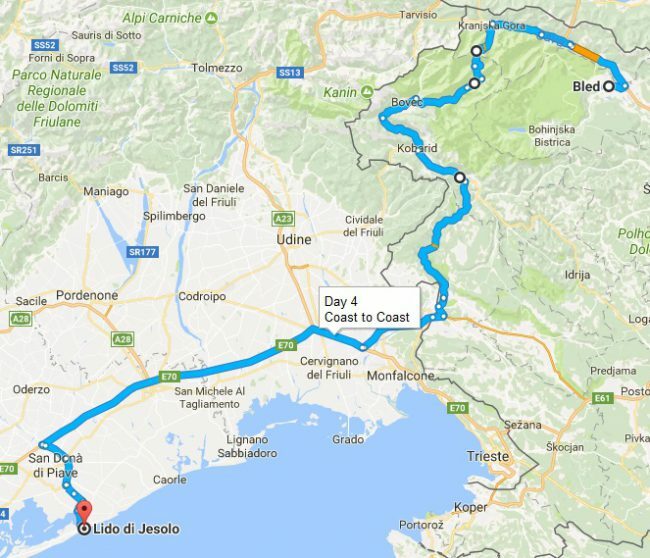 We will start from Bled and finish in the Italian coast resort lido di Jesolo. We have two routes. The main route shown below will take you though the amazing Triglav Slovenia national park. The other route will be more direct to allow more time to visit Venice.